Target: Generate 100% of the City Council's electricity needs from renewable energy sources by 2023. RES: Solar photovoltaic and thermal systems, hybrid wind and solar-powered off-grid streetlight. Implementation: The 100% RE target set by Lismore City Council is a corporate target rather than one applied to the entire city area. The decision of the City Council was made in 2013 after an 18-months community consultation, which resulted in the community expressing the wish for Lismore to become a model of sustainability, starting with the Council itself reaching the 100% goal. The City Council's response was to develop the 2023 Renewable Energy Master Plan in 2014, which would include various action plans. The Plan would involve two important stages. First, energy consumption should be significantly reduced with a range of energy efficiency measures, such as switching to LED lighting and installing solar PV and solar hot water systems at Council-owned sites. Second, a large-scale 3.8-4.7 MW solar plant should be constructed. In 2014, Lismore awarded a tender to Nickel Energy to install 166kW of solar PV which should save nearly $100,000 a year in electricity costs. 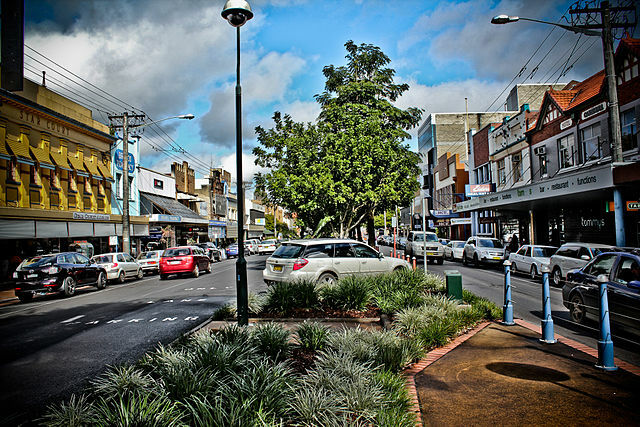 The city also took advantage a Community Energy Efficiency Program (CEEP) which was established by the federal government of Australia to support local councils and community organisations in improving the energy efficiency of buildings, facilities and street lighting as well as delivering community education. The city conducted energy efficiency upgrades in buildings and facilities. It soon became the first local government in Australia with hybrid wind and solar-powered off-grid street lighting. Meanwhile, the energy efficiency upgrades has reduced electricity consumption within five years by 22%. Since 2013 the council has also been working together with the 'Farming the Sun' initiative to create Australia’s first community-owned solar farm consisting of two 100kW solar PV systems using a community-funded loan. Finance for the projects is being sourced from local community investors.